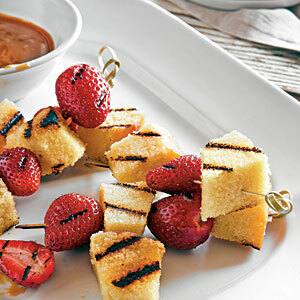 Barbequed Desserts are sweet grilled treats for all ages. Easy to make and fun to eat. Every good meal needs something sweet to round it off. And there is no reason why your barbeque should not end with a barbequed dessert! Here are some simple dessert recipes. Get inspired and create your own sweet grilled treats. Use whatever is in season, give it a lemony-honeyed or boozy marinade; wrap it in a foil and throw on the grill. 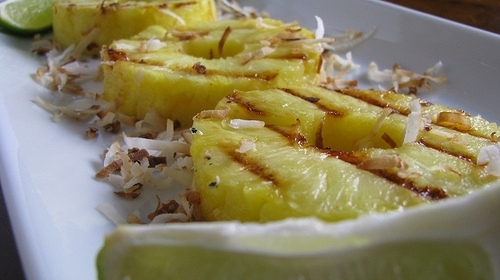 – Prepare the marinade for the pineapples by combining honey, rum, coconut milk, lemon juice and cinnamon powder. – Dip the pineapple rings in the marinade and refrigerate for about an hour. You can also prepare the pineapple to this stage, the day before you plan to barbeque them. – Heat the barbeque grill to medium and oil the grate lightly. 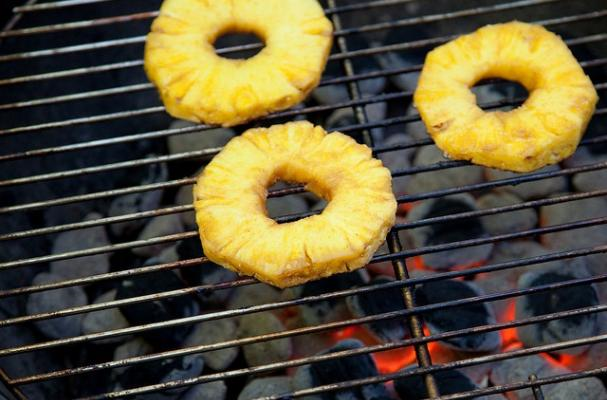 Cook the pineapple rings directly on the grill for about three to four minutes on both sides. – Alternately, place a grill pan on the barbeque and cook the rings on the pan over the grill for about six minutes on each side. – Serve with a scoop of ice cream in the center of the pineapple ring and drizzle with the leftover marinade syrup. rum glazed with coconut is delicious! – Without peeling the bananas, slit them lengthwise. Do not slice them all the way through and or right to the ends. – Using a knife, coax the banana open and slide in one piece of marshmallow and one piece of chocolate till the entire banana is stuffed. – Wrap the stuffed banana in foil and place it on a hot barbeque grill. Cook for about 10 minutes. 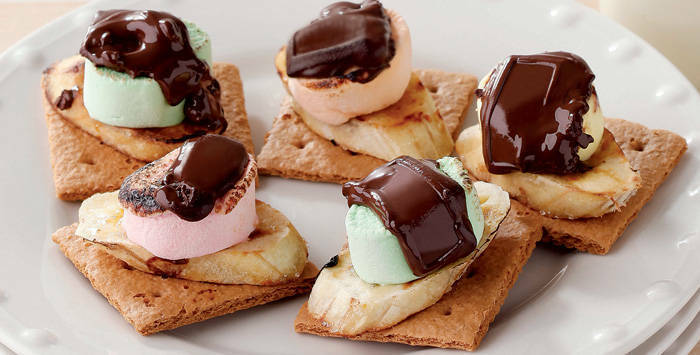 – When you open the foil and peel the banana, the marshmallow and chocolate should have melted. – Serve as they are or with vanilla ice cream. – Preheat the barbeque to medium heat and oil the grate. – Pour the milk in a shallow dish and soak the slices of cake. Drain well. – Grill the cake on the barbeque for 2 to 3 minutes on both sides. – Sprinkle icing sugar and serve with fresh fruits and cream or ice cream. – If you are serving with a fruit sauce, poach fresh fruit such as plums or peaches, remove the pits and puree. Cook over low heat with sugar (depending on how sour the fruit is) for 10 minutes. You can also make a fruit sauce with pureed strawberries and pineapples. Always grill fruits over medium heat and on a clean grate. You don’t want the leftover drippings from the last batch of steaks to ruin the flavor of the fruits.